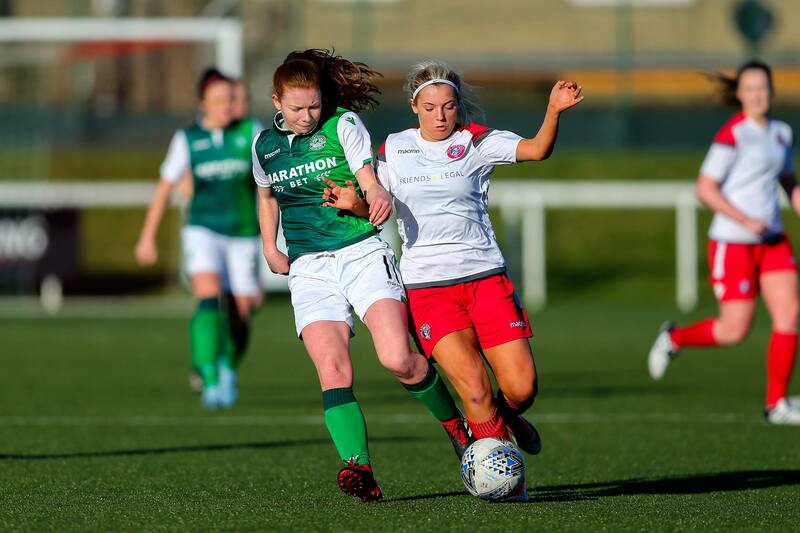 A Trish McLaughlin double in her 100th Spartans appearance set up a tense finale at Barrowfield however hosts Celtic held on to record a 3-2 win in another closely fought clash between the sides. Manager Debbi McCulloch made a few changes to the side that defeated Forfar in the Scottish Cup the previous weekend, with Claire Crosbie and Kirsty McLaughlin given places in the starting XI. 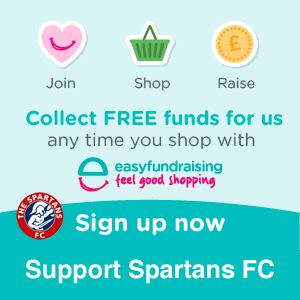 Spartans were on the front foot from the off, with Kerry Montgomery unfortunate not to open the scoring in the opening moments as she couldn’t quite get enough purchase on a header following an Alana Marshall cross. It didn’t take long before Spartans did break the deadlock. With the game barely 8 minutes old, Trish McLaughlin raced in on goal to calmly slot a left footed drive past Fay in the Celtic goal. Six minutes later, it was almost another. 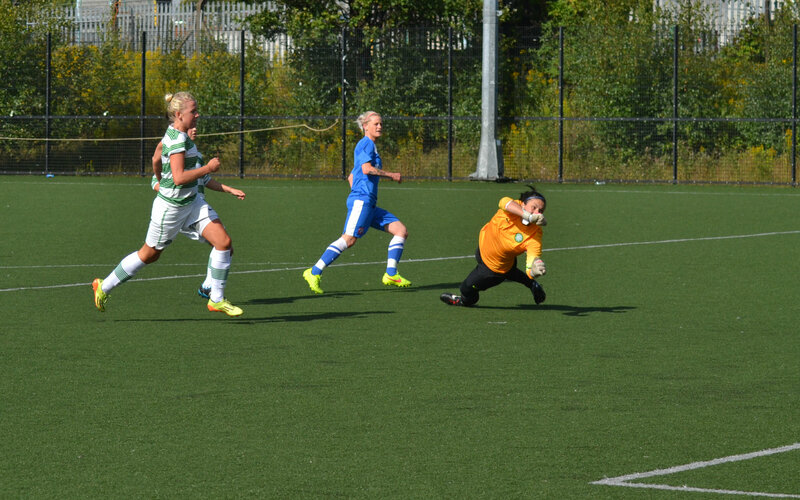 Claire Crosbie’s header back across the Celtic six yard line was cleared under the crossbar by the head of McBrearty. Route one from Rachel Harrison allowed the ball to bounce on the unforgiving Barrowfield surface and it fell into the path of Sarah Ewens however her strike grazed the wrong side of the upright. Harrison was called into action at the other end as Celtic looked to equalise, diving bravely at the feet of Grant. Arthur then saw her shot sail over the Spartans bar as the home side came back into the game. A double whammy inside three minutes saw the pendulum swing to give Celtic an unlikely half-time lead. In the 39th minute a Richards shot from outside the box seemed to wobble and bobble as it headed towards Harrison and the ball found its way into the Spartans net. 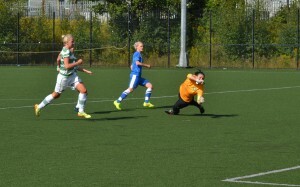 Worse was to follow just three minutes later when Harrison (Abigail) saw her shot initially saved by Harrison (Rachel), however Harrison regained possession and stroked the rebound past her namesake to give Celtic a 2-1 half-time lead. Spartans pushed forward in the second half with Montgomery unlucky not to see a more favourable outcome with a header after out jumping Fay following a well worked Trish McLaughlin cross. 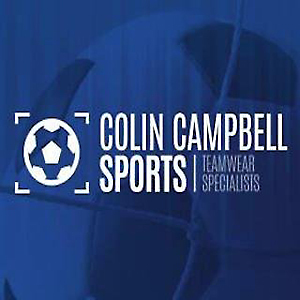 There was a further blow to Spartans in the 72nd minute however when they went further behind after Fleeting scored for Celtic on the counter attack. With 15 minutes to go, Trish McLaughlin set up an interesting finale when she grabbed her second of the game with a left foot attempt that seemed to take an eternity to crawl over the line. Spartans continued to push for at least a point that no-one could have denied them for their efforts. Kerry Montgomery was clattered in the box by Jones leaving the Ref with no option than to point to the spot. Ewens stepped up only to see a fine save by the 176 times capped Scotland keeper ensure that Celtic held on to their narrow advantage at full time. After the game, Spartans Manager Debbi McCulloch was both despondent in defeat however enthused by the effort displayed by her side, “I thought the team performed very well today. A lack of concentration in a ten minute spell before half-time saw us concede a couple of cheap goals however our response in the second half was positive and we dominated possession and look dangerous going forward.